Our cookies are certified Kosher by the Orthodox Union. 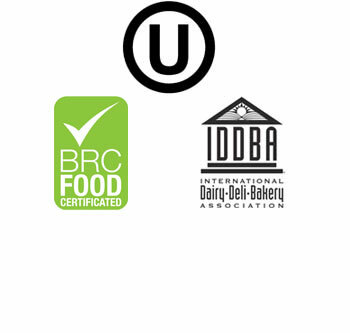 Jimmy’s Cookies has been evaluated by AIB International Certification Body and has met the requirements of the BRC Global Standard for Food Safety. We are also proud members of IDDBA (International Dairy•Deli•Bakery Association) providing opportunities for professional dialog, education and exchange of industry knowledge.